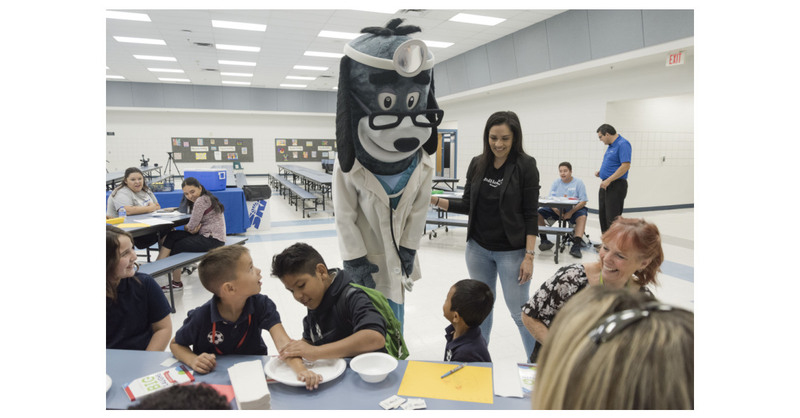 PHOENIX–(BUSINESS WIRE)–Phoenix-area children received free comprehensive eye exams and glasses donations as part of a back-to-school eye-health event. The exams were conducted by board-certified optometrists at the Alhambra Family Resource Center using the Eye Care 4 Kids mobile clinic, and any child with the need for prescription eyewear will receive a free pair of glasses during a follow-up visit. The event is part of a grant program from UnitedHealthcare to nonprofits in cities across the country to coordinate free comprehensive eye exams, vision screenings and glasses donations. Eye Care 4 Kids in Arizona received a $5,000 grant for the local event. This builds on an existing community investment in Arizona to improve eye care with VisionQuest 20/20, which showcased its “gamified” screenings at the Alhambra event.